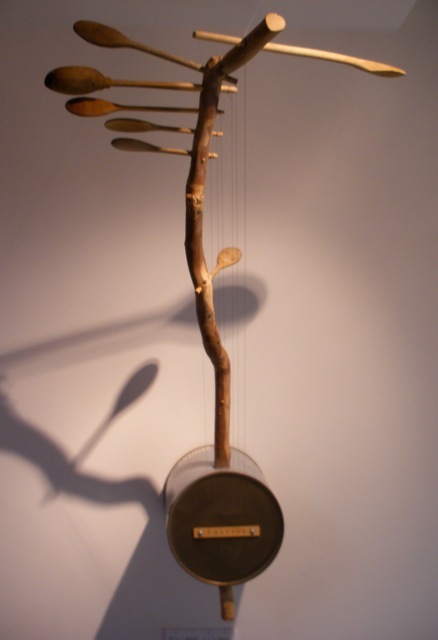 The exhibit represents a portion of the instruments created by Peter Whitehead over a 20 year period. 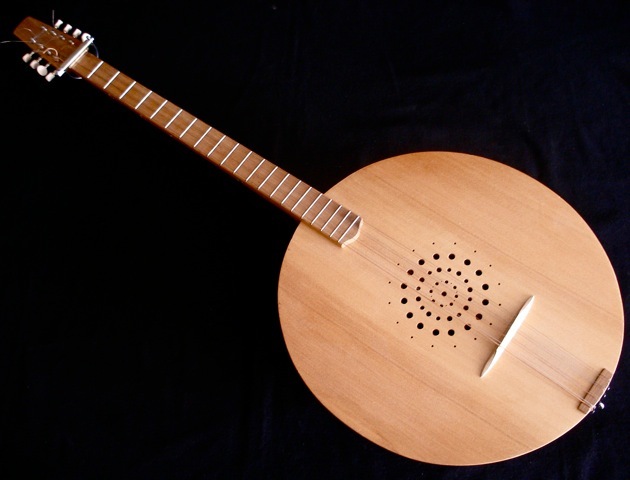 Whitehead is a composer, songwriter and instrument builder. 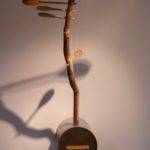 His instrument building grew out of his earlier work with sculpture made from found materials and a fascination with sound which began in childhood. While traveling in S.E. 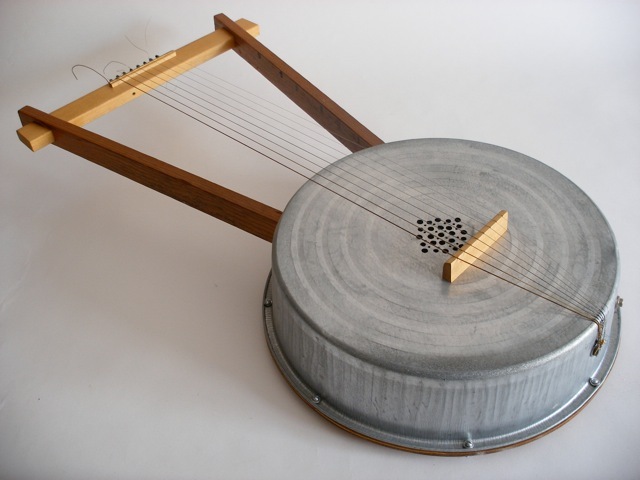 Asia in 1989 he realized he could combine sculpture, performance and music by constructing and playing original instruments. 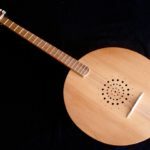 Having experimented with playing ‘found’ objects before this, it was at this time that he began to construct his first instruments. 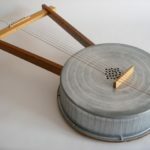 Many of his creations are derived from folk instruments from around the world and some are based on images of ancient instruments that no longer exist, although the materials used to construct them are modern or industrial. 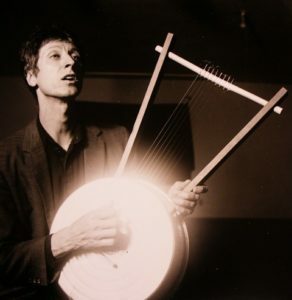 Whitehead has composed songs and scores for film and dance using a variety of instruments ranging from found to invented to conventional. 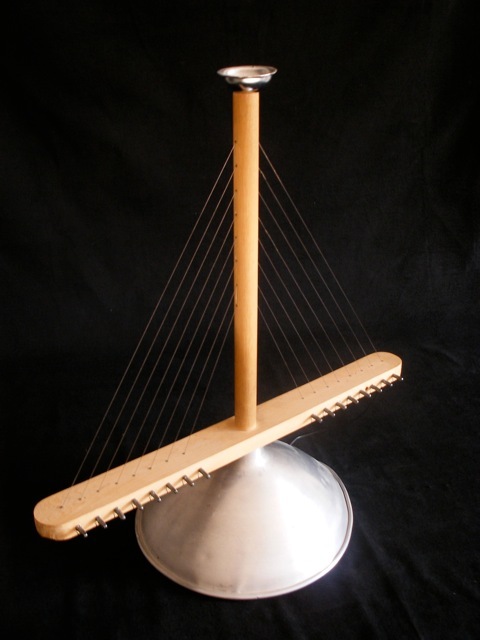 In recent years this palette has been expanded to include electronics and samples of found or invented instruments. He has also composed for and performed with a number of prominent choreographers and dancers including Mikhail Baryshnikov, Susan Marshall & Company, Anna Halprin, Charles Moulton/Janice Garrett and Sarah Shelton Mann. His work has appeared in several films including “City of Ghosts” directed by Matt Dillon and “Following Sean” directed by Ralph Arlick. Thanks to digital technology his music has been used for Television and Radio in over 30 countries. 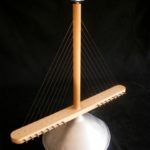 Whitehead will be present at c4nm for an opening reception and instrument demonstration on Thursday, March 6, from 6 to 8 PM.